Item: CVA 101-25 - Firemen's Tug-of-War Team. Winners 1910. 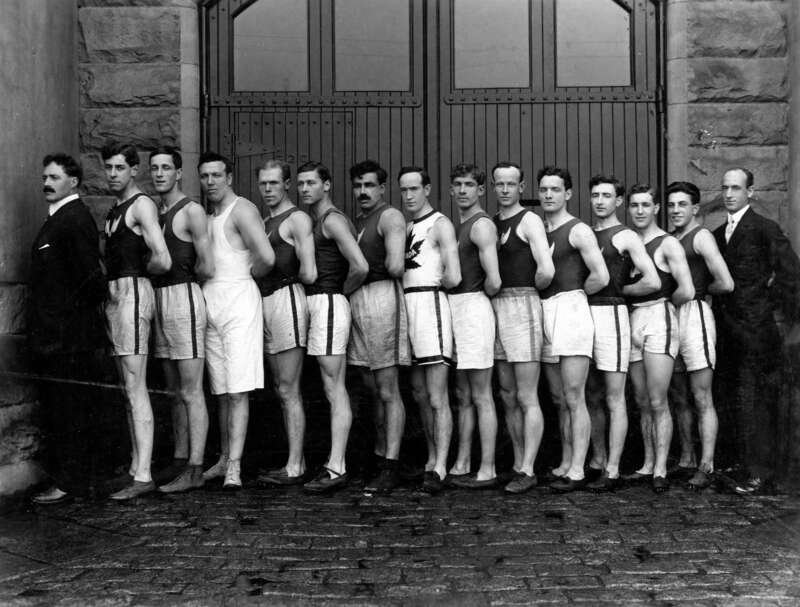 Item is a photograph of the Canadian track an field team, ; Archie McDiarmid 7th from left.